SNHR has published its monthly report documenting the massacres perpetrated by the parties to the conflict for the month of May. The report notes that since the agreement went into effect, these areas saw a relatively noticeable and good decrease in killing rates compared with the previous months since March 2011. Nonetheless, breaches didn’t stop, mainly by the Syrian regime, who is seemingly the party that would be most affected should the ceasefire go on, and in particular extrajudicial killing crimes and, more horrendously, deaths due to torture. This strongly asserts that there is a ceasefire of some sort on the table, but the crimes that the international community -especially the Russian, Turkish, and Iranian sponsors- won’t see are still going on as nothing has changed. 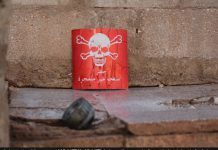 The report adds that SNHR didn’t record any drop in the number of massacres by Syrian regime forces across Syria in this month compared to what have been recorded since last February. On the other hand, international coalition forces continue their ruthless campaign, committing massacres in the eastern governorates for the third month in a row, and even more aggressively than the past two months. The report outlines the toll of the massacres perpetrated in May 2017, where the report describes an incident as a massacre if it involved the killing of five peaceful individuals at the same time. Based on this definition, the report documents 34 massacres in May 2017 – nine at the hands of Syrian regime forces, one by Russian forces, 14 by the international coalition forces, five by ISIS, two by the Kurdish Self-Management forces and three by other parties. 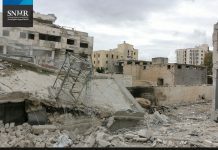 According to the report, Syrian regime forces committed three massacres in Aleppo, two in Deir Ez-Zour, two in Hama, and one in both Homs and Damascus suburbs, while Russian forces perpetrated one massacre in Deir Ez-Zour. International coalition forces committed 12 massacres in Raqqa and two in Deir Ez-Zour. In addition, Kurdish Self-Management forces perpetrated two massacres in Raqqa, and ISIS committed four massacres in Deir Ez-Zour and one Hama. Also, the report records thee massacres by other parties – two in Deir Ez-Zour and one in Daraa. According to SNHR’s victim documentation team, 404 individuals were killed in these massacres including 143 children and 90 women (adult female) which suggests that 58% of the victims were women and children. This considerably high percentage is an indication that civilians were targeted in most of these massacres. 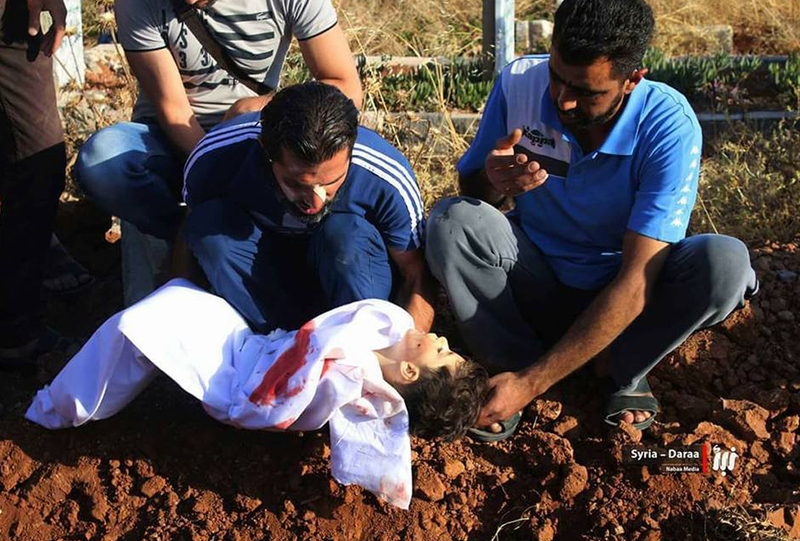 The report breaks down the death toll of the massacres of May where Syrian regime forces killed 85 individuals, including 36 children and 15 women, while five civilians, including two women, were killed in the massacres perpetrated by Russian forces. Also, international coalition forces killed 146 individuals, including 52 children and 36 women, in the massacres they perpetrated, while ISIS killed 99 civilians, including 25 children and 15 women, and Kurdish Self-Management Forces killed 21 civilians, including six children and five women. Lastly, the death toll in the massacre by other parties were 48 individuals including 24 children and seven women.